58-year-old UCHE Chinyere, has been nabbed by operatives of National Drugs Law Enforcement Agency (NDLEA), Kaduna State Command, for allegedly be in possession of expired Tramadol Hydrocloride drugs worth over N13million. 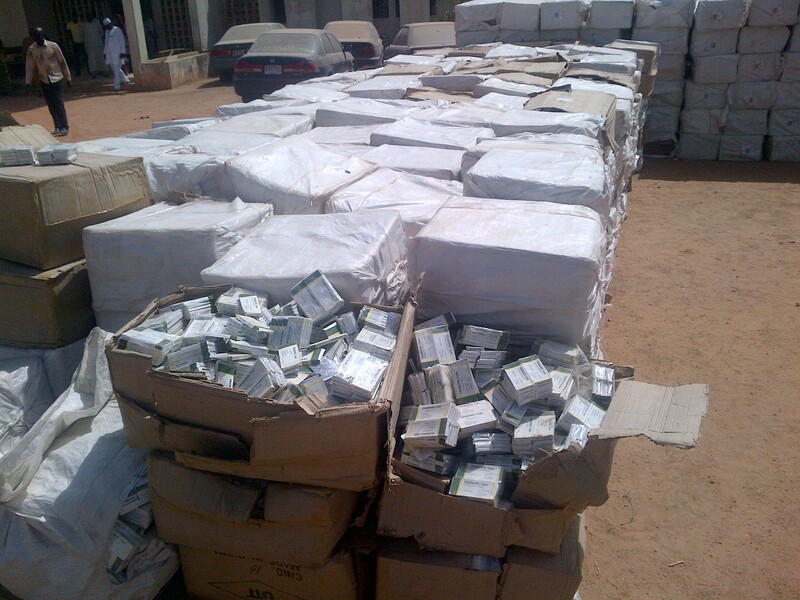 The Kano bound patient dealer however denied the allegation, saying he bought the drugs from a pharmaceutical company in Lagos long before it expired, quickly added that he kept the drugs at a warehouse in Zaria pending the time he would get approval from NAFDAC and NDLEA before destroying it. “I have been planning to contact the NDLEA and NAFDAC to dispose the drugs before I was arrested. I have no intention of selling them to the public. I bought a carton then at the cost of N6,000. I did sell a carton N9,000,” he recounted. The state commander of NDLEA, Samuel Azige, told interested newsmen that the suspect was arrested in possession of 1,544 cartons of pain-killer drugs which has expired since 2014, noting that each cartoon cost about N9,060. Azige argued that apart from the fact that the drugs have expired, it has serious implication on lives of youths in the country as excessive intake of Tramadol Hydrocloride will unarguably, trigger them to involve in crime activities. He said the suspect was arrested after months of monitoring. According to him, “NDLEA yesterday in Zaria arrested a man by name Uche Chinyere. The suspect was arrested in his shop in Kano but has warehouse in Zaria where he stores his goods. “So we got intelligence on him. It took us about two months and yesterday finally got him arrested. “The total number of cartoons, 1,544 catons of Tramadol drug. It weigh over 15 tons. Each of the carton cost N9,060. “He has been in the business for long. He told us he expended over N12million on the drugs. The most disturbing aspect is that the drugs are expired since 2014 but he is still stocking them and selling them which is very dangerous. NAFDAC has been campaigning and creating awareness on the dangers of taking expiry drugs. “This is someone that does not have the interest of the people at heart but after making money. So he sells these drugs whether they are useful or not useful. As far as he is concerned let him make his money. That is the bottom line. “initially we didn’t know that the drug were expired until after we recovered the drug and we went through the sachet. It was then we discovered that the drugs have expired as far back as 2014. But the bottom line is that this man was arrested because he stored these drugs which is a control and he is not trained to handle this drug but only a pharmacist that can dispense the drugs. So he was arrested base on the fact that he was not suppose to be in possession of the drug. “Again, you can imagine the gravity of crime the police will battle with if these have been allowed to go into the society. “We want to thank the Kaduna state government for the logistics support we have continued to receive from them. These has also enhanced our performance and lead to the recent achievement and arrests made in the state,” he said. Azige however said investigation is already on into the matter and in the next one week the suspect will be charged to court.